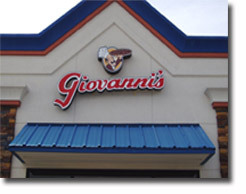 Channel letters, Channel Letter Sign Supplies, & Custom Sign Cabinets. 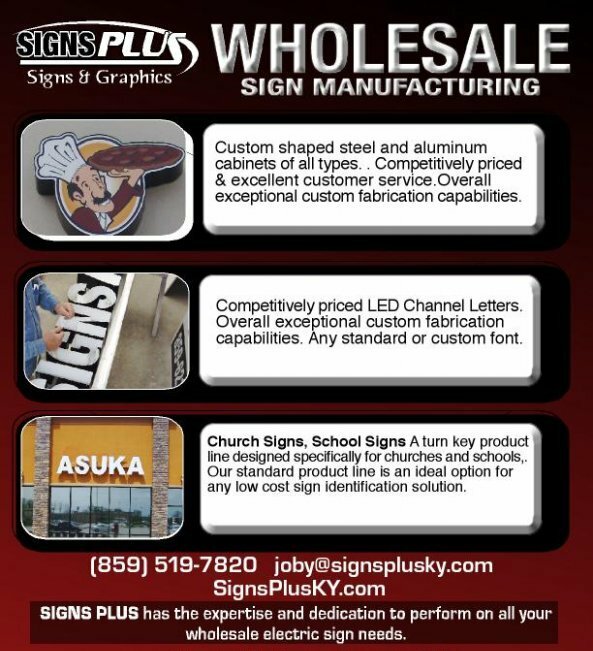 Signs Plus, LLC offers Wholesale Channel Letters & Custom Sign Cabinets to the sign industry. With a combined experience of over 45 years in custom fabrication & design, we assure you the highest level of craftsmanship & components in your sign. 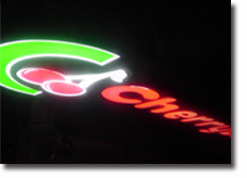 Custom LED Signs can be fabricated to any shape or size, including your business logo or just a standard shape. Possibilities are endless for Logos or Designs. Signs Plus, LLC is ready to accomodate any of your outdoor or indoor lighted, LED or electrical signs. Signs Plus has the Expertise and Dedication to pertorm all your wholesale electric sign needs. Copyright © 2008 Signs Plus Signs & Graphics. All Rights Reserved.